After more than 30 years at Syracuse University, Elizabeth “Lil” Breul O’Rourke ’77, G’04, senior vice president for principal gifts and international advancement, has announced she will depart the University in early March to become president of the University of Rhode Island Foundation. O’Rourke, a longtime member of the University’s Division of Advancement and External Affairs (AEA), has served in many key positions. As vice president for development, O’Rourke was an important part of the leadership team that led the successful $1 billion fundraising campaign, which ended in 2012 and exceeded its goal ahead of schedule. Her positions within AEA included roles within the Office of Alumni Engagement, first as assistant director working with alumni clubs and organizing class reunions and Homecoming. She later returned to the department as associate vice president to lead it through a time of expansion and implementation of best practices. During this time, in collaboration with the Alumni Association Board of Directors, the Orange Grove was conceived, funded and built. The site has become a center of campus life and place for alumni to visit. 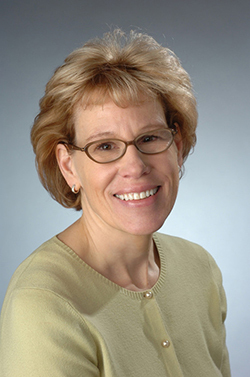 O’Rourke, who joined the University in 1983, later served as associate dean in the College of Arts and Sciences, where she helped to establish and expand the advancement operation for the college. During this time, the Life Sciences Complex was built. In 2009, O’Rourke was appointed secretary to the Board of Trustees and vice president for principal gifts before being named in 2014 to her current role as senior vice president for principal gifts and international advancement. O’Rourke has also represented Syracuse University as an engaged member of her professional community, serving as a member of the Board of Trustees for the Council for the Advancement and Support of Education. An alumna of the University, she earned a bachelor’s degree from the College of Arts and Sciences in 1977, and a master of arts degree in public administration from the Maxwell School of Citizenship and Public Affairs in 2004.